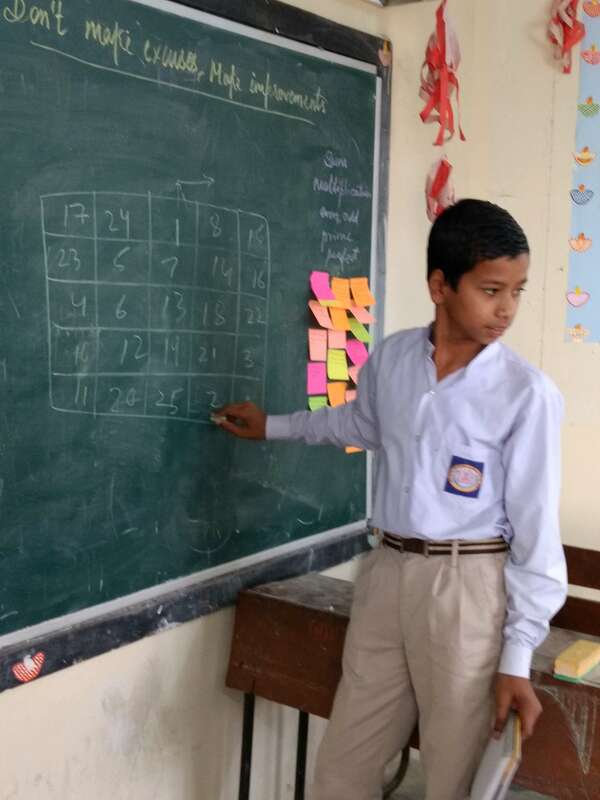 Anuj Sankla, Teach for India Fellow, Cohort 2016 shares his experience of teaching the students of class 8 and 9 of a government school in Delhi. This was as a part of the summer programming workshop conducted by CodeChef. 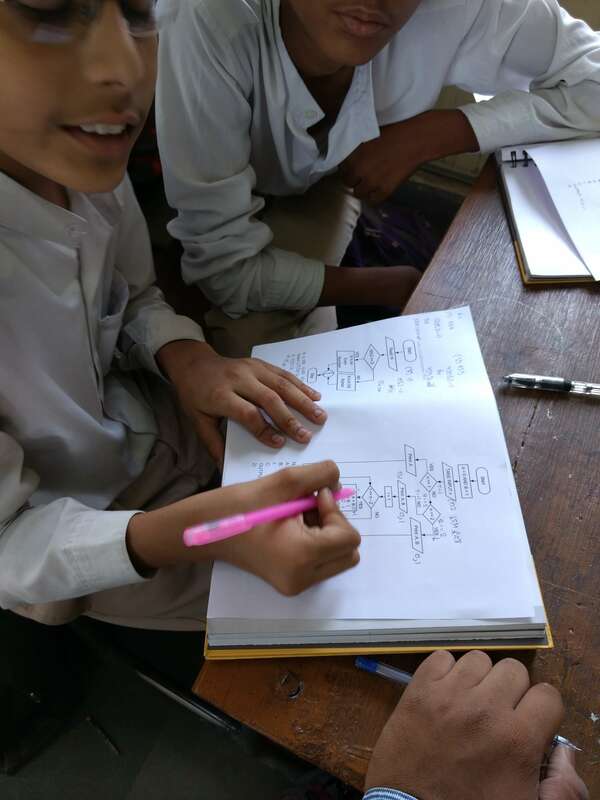 The workshop was aimed to teach these young minds programming having no prior knowledge of the same. Do read on his interesting journey. A new school, new students and a new subject! A new environment to teachers may look just as daunting as it looks to the students. Yes, I am a teacher who was appointed to light a spark in a set of 22 students at a different school and teach a subject which I had never taught before. I am talking about CodeChef’s initiative to inculcate logical reasoning and aspects of competitive programming in school students. The target set was huge; IOI – International Olympiad in informatics, is the most prestigious championship for student coders and CodeChef had been observing a pattern in it for quite some time. They could see India wasn’t striking gold (weren’t winning the Olympiad). Comparing Indian teams with the countries that won gold, they zeroed in and established that the secret to gold lies in an early start. Therefore, they took up the task to start nurturing young minds with the nuances of competitive programming right from school. I was working as a Teach For India fellow when they approached me. The TFI experience had taught me to handle a class, develop a culture and to get the desired outputs from the students. I said yes to the challenge. And here’s where we are. First day at the school, I too was nervous. I didn’t know how the kids would respond, if they would listen to me, whether they would be ready to learn? Amid all these doubts I entered the class and was greeted warmly by these 22 kids. Most of my nervousness was already gone by the welcoming nature of their greeting. I started with my plan and as decided, I planned to start with a fun energiser right after a round of quick introduction. The energiser was quite crazy and required all the kids to do weird moves. They were reluctant, they didn’t budge. “Was I being judged?” I asked myself. “This works so well in my classroom, why isn’t it working here?”. I nudged them a little, and then decided to demonstrate all the steps to the class; I was being too vulnerable. But, it worked. It worked like a charm. They opened up. They started to move. Some of them danced, some didn’t. We went for another round of energiser; most of them were enjoying it now. The class was refreshed. “Plan so far a success” I thought. After all the dancing and shaking, I started with the class. Why coding? What is IOI? Why are we here? And after all these questions we moved into something which was new for the kids as well as for me. For kids, as they had never studied it. For me, because I had never taught it to anyone. Number system, binary, decimal, conversions were all being discussed in the class. 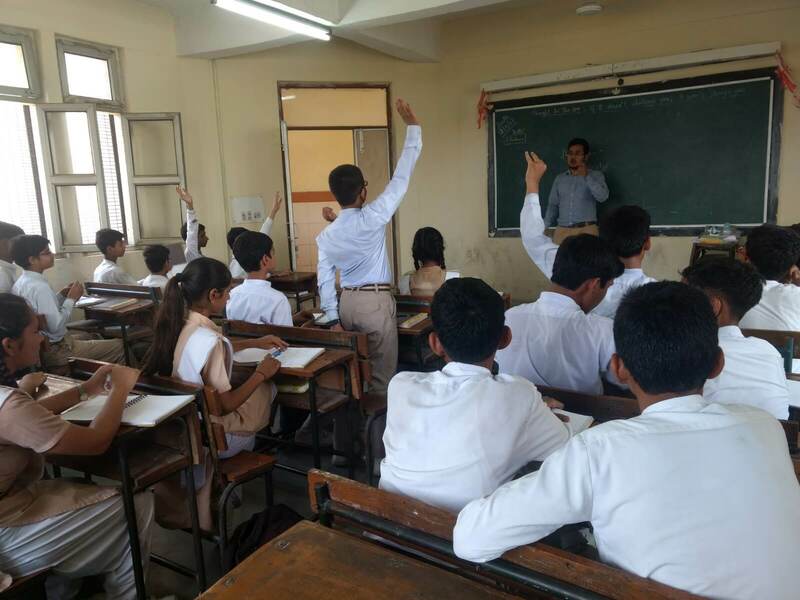 Some understood, some were confused and some were probably questioning their decision of attending these classes during their summer break. But soon, the classroom turned into a pool of enthusiastic innovators who were trying to figure out different patterns in binary numbers. They wanted to break it down. I was glad as I wanted them to do the same. 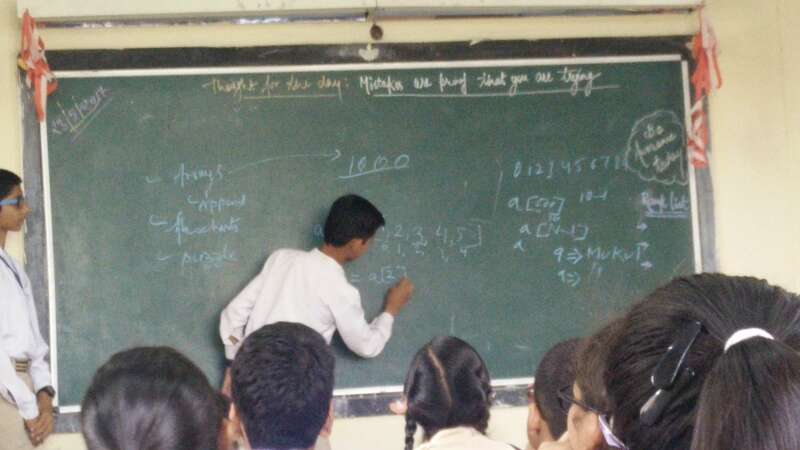 Soon, they became comfortable with number systems and we ended the class with a mind boggling puzzle. The day went well . I was glad the plan worked as I wanted it to. Next day, another warm greeting; this time I could feel even more warmth. The kids had accepted me and so had I. We started the class with another energiser. This time almost everyone was engaged. They had started enjoying these sessions. Soon, energisers were part of my daily lessons. And when missed, the kids themselves reminded me that we should have energisers now. They had opened up, they had started showing curiosity, and began working in groups. Almost all of them had started to question and most importantly they had started to struggle; struggle without giving up. I think that was what I really wanted them to achieve. We dived deep into the content, and began tackling operations, flowcharts, loops, lists, more flowcharts, more dry runs . And during the process both (kids and I) of us learnt. 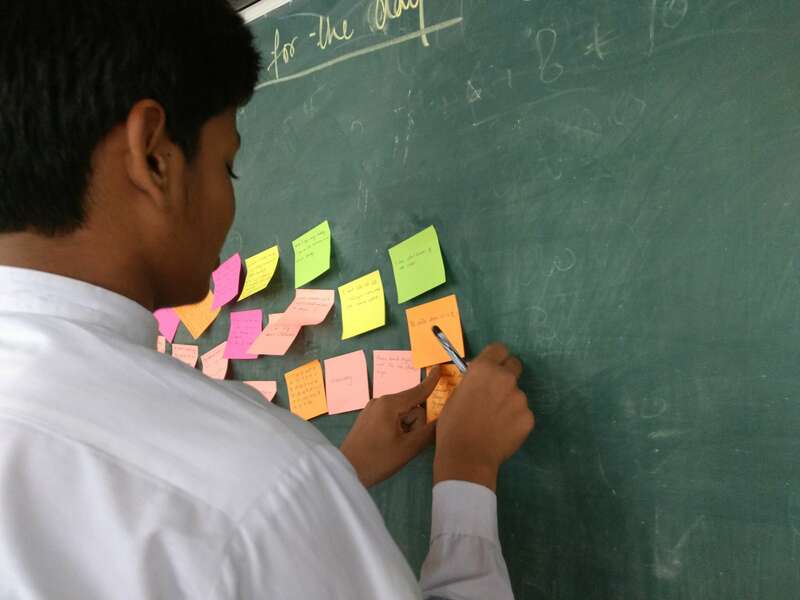 We learnt amazing concepts, we solved problems, and figured out how a problem can have multiple solutions. We saw how to find out an error in your solutions and even solved puzzles . And once they were well-versed with the content, it was time for a test. The kids made their way to the computer lab. They had to start coding in Python. Python, which was just a reptile to them till then, had suddenly turned into something with which they could build with the computers. 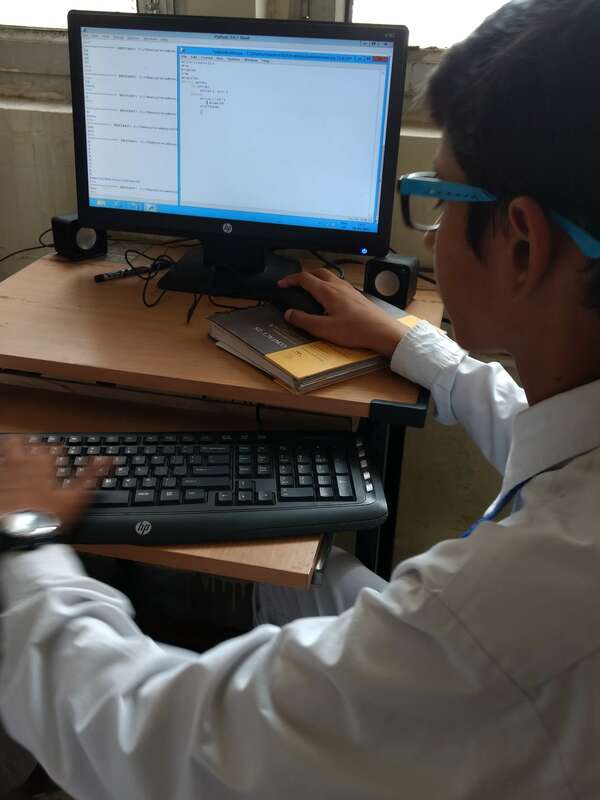 Our Python classes started with the basic commands of input and print. And much to their joy, the kids were already celebrating seeing that their code could print their name on the screen. Little did they know that they had a lot more to explore. We soon started getting into the concepts of operations, loops, lists and what not. Sometimes, the kids would figure out some untold concepts and commands on their own. It felt like we had achieved what we aimed for. They were now ready to learn on their own. We had developed in them a desire to learn, and now they would go on to explore and satiate their hunger for more knowledge. 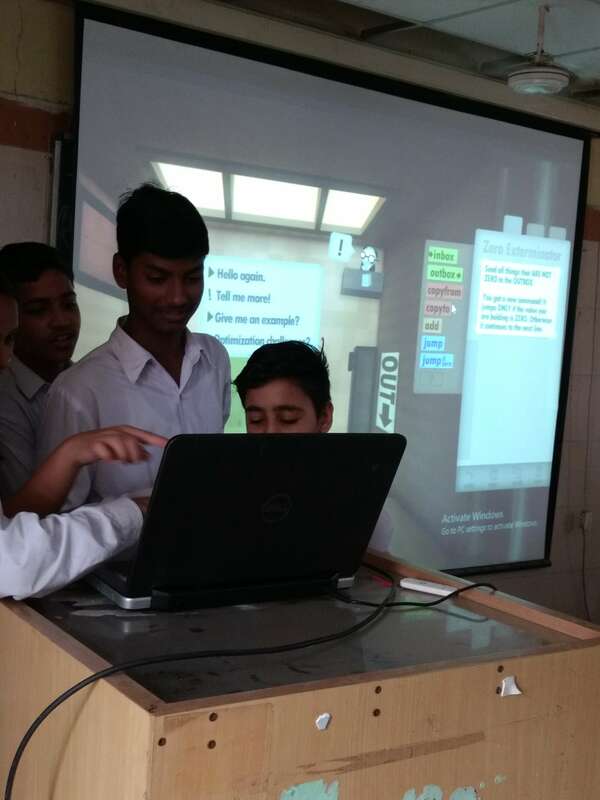 Soon after they had started to code, we introduced them to the CodeChef online judge and held an online contest, with their rank lists being projected on the wall. They’d quickly have a look at the ranks and then get onto their computers and start solving the problems. You could see the joy in their eyes as they saw their ranks going up with every correct attempt . And disappointment on their face could easily be spotted when their friends solved the questions and moved above the rank list, leaving them below. Soon, contests too were as much a part of our daily classes as energisers and puzzles. And before I could sense, the 15 day workshop came to an end. There was a final contest, and certificates were distributed to the young geniuses. I also gave them a handwritten “words to inspire” message. As we declared the end of the workshop, I could hear “We’ll miss you”, “You have been a great teacher “ , “When will you come to meet us again?” , “I’ll connect with you on Facebook” and much more. I waved goodbye to the kids, feeling a true sense of joy and accomplishment being able to affect their lives for the better, even if for only a fortnight. On my way back, as I am writing this, I wonder how easy it is for people to connect with someone. At one point, we don’t know each other and then the next moment, we trust each other and feel comfortable around them. I will really miss these kids and the workshop. I would love to relive this experience again.